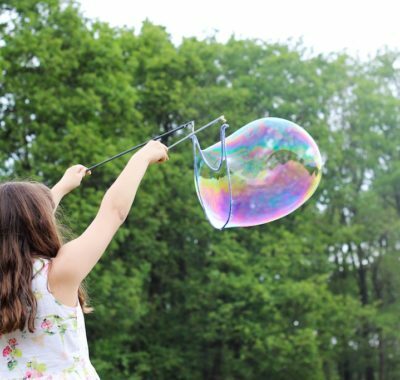 So much happens when children play – they build up self-esteem by trying out new things, practise communication and social skills by interacting with peers, as well as strengthen their motor skills through all the physical movement. Looking for places that offer a little more than just play facilities? 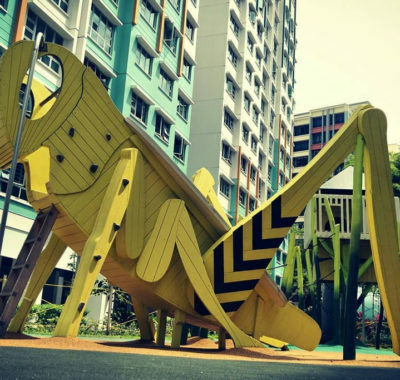 Here’s a list of playgrounds that encourage learning of science, the arts and culture through – you’ve guessed it – fun! 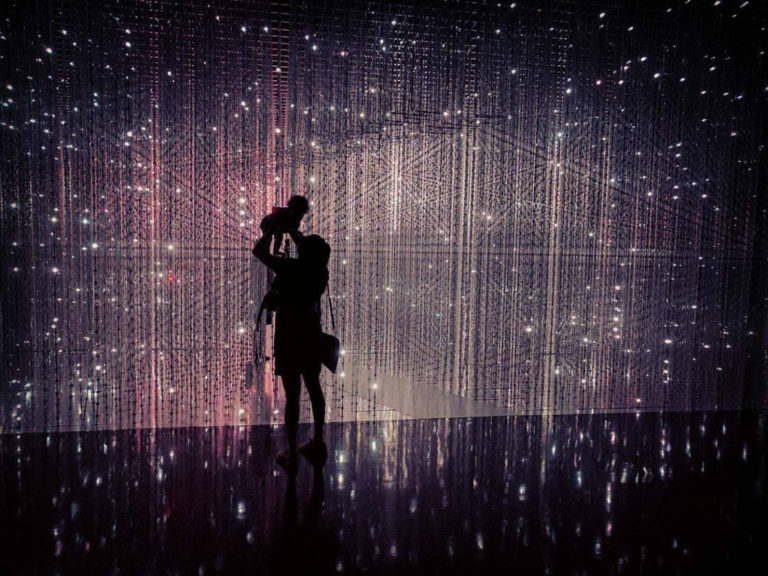 Fusing art, science, technology and culture, Future World is a permanent exhibition within the ArtScience Museum. 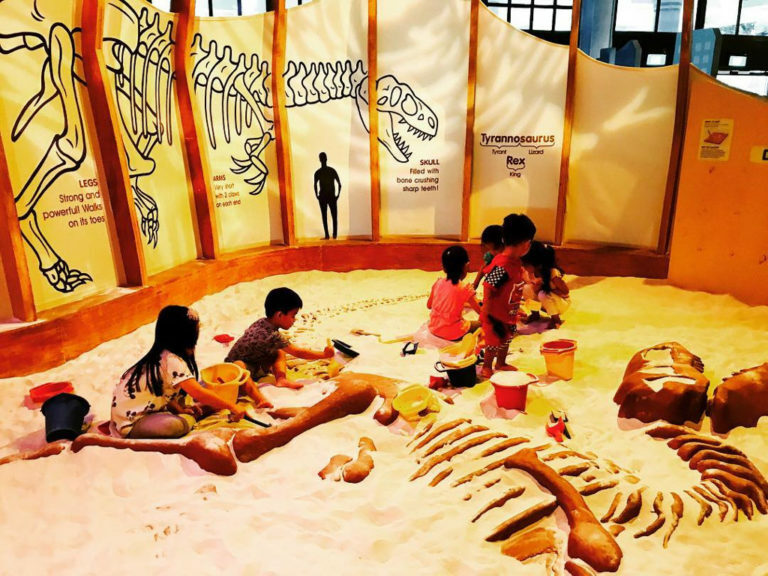 Filled with high tech interactive artworks, this digital playground feels less like an art exhibit, and more like a large hands-on interactive play space for visitors young and young-at-heart. Children can be part of seascapes and feed virtual sea creatures, see their two-dimensional crayon drawings come to life as three-dimensional objects and through 4D vision technology, experience what it’s like to move among stars and planets. 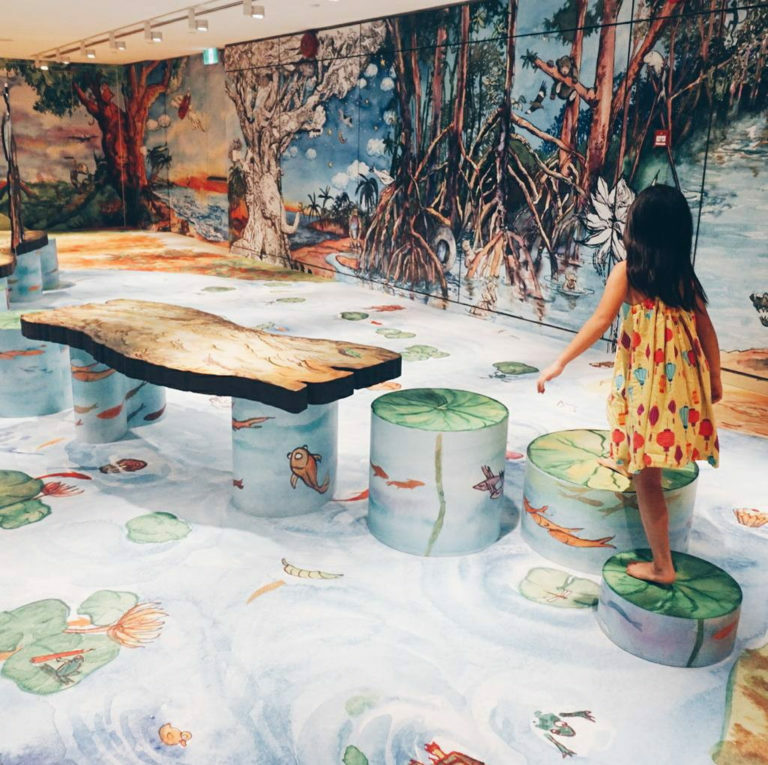 If you’re looking for a learning playground where children can experience − and not just view − art, Keppel Centre for Art Education is just the place. 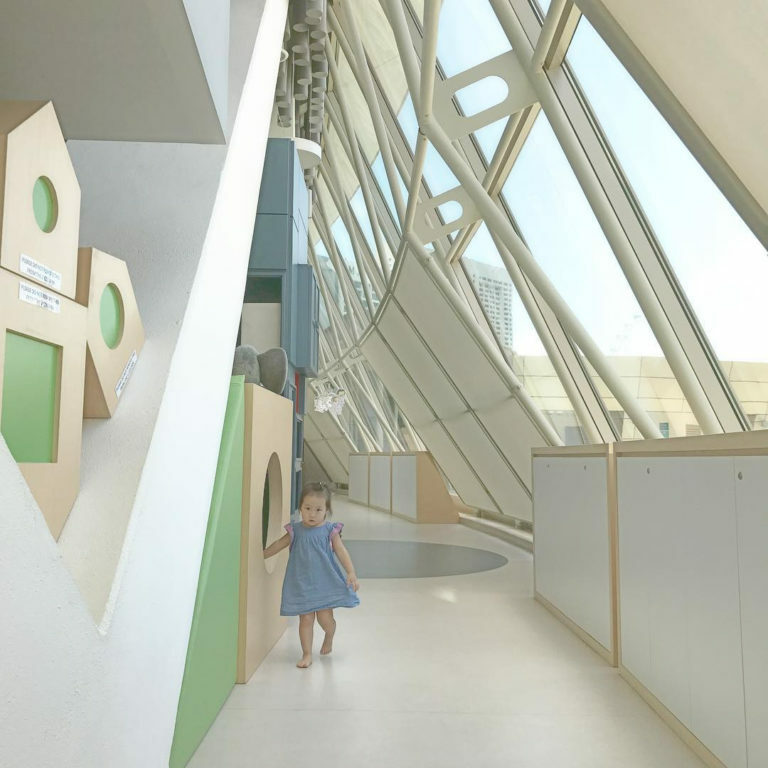 In one of its four spaces, Art Playscape, an entire room acts as a canvas. Resembling a fairytale creation, visitors are welcome to enter The Enchanted Tree House and climb the “treehouse” or jump on the huge “lilypads”. Children can also create their own prints inspired by the National Collection through simple print-making processes at the Children’s Museum Workshop. KidsSTOP is a 3,000sqm science-focused play space designed for children from two to eight years old, inviting them to experience, discover and dream through interactive play. Young explorers can experience a myriad of occupations as well as various adrenaline pumping activities (Giant J, a seven-storey free-falling slide is bound to be a hit), all in the span of a four-hour session. Remember to ask staff on hand for an activity booklet as your little ones explore the different occupations at the exhibits. 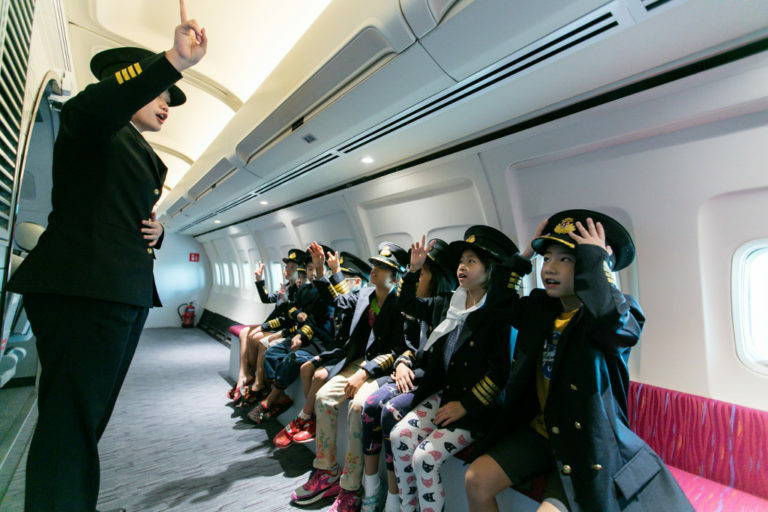 When it comes to role-playing spaces, KidZania takes it to a whole new level. It has paved streets and replicas of everyday establishments, including a convenience store, dental clinic, police station and fire station. There’s even an actual Boeing 737 on site! 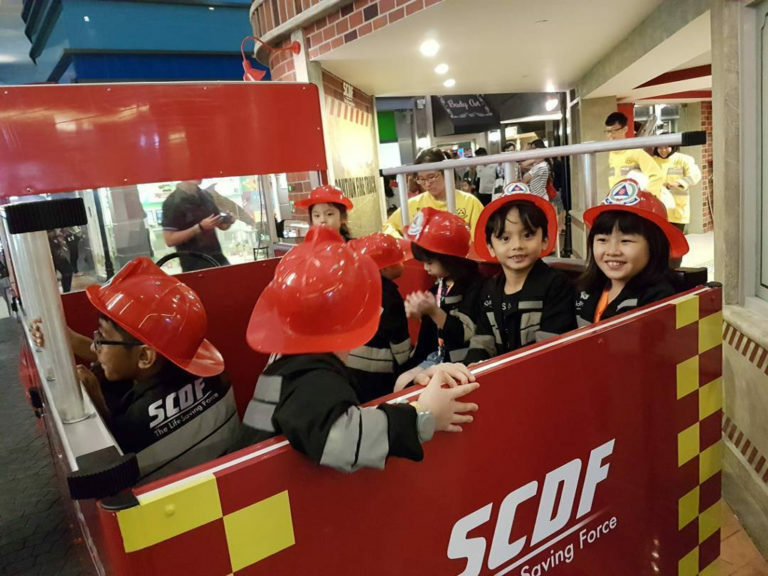 KidZania is a mini functioning economy where children earn kidZos when they work, and pay kidZos to partake in activities or purchase products or services. There are over 60 jobs available to choose from, such as pilot, flight attendant (held on the plane! ), firefighter, police officer, crime scene investigator, museum curator and radio presenter. They can also learn to make burgers and pizzas, deliver bottled water or newspapers, conduct guided tours and join an acting academy. Each activity lasts about 20 to 30 minutes and parents can participate in various roles in selected establishments. The Artground aims to provide positive arts experiences for kids up to 12 years old through many different art forms, including interactive art installations that you can climb through! Art installations are refreshed three times a year. On weekends, The Artground conducts various art-related programmes for families with young children – activities include gardening, performing arts, as well as craft sessions. There are four spaces spread over 500sqm: a theatre and performance space (White Box), a space for infants (Baby Stage), a space for art installations (Ground Floor) and an outdoor gardening space (The Good Garden). 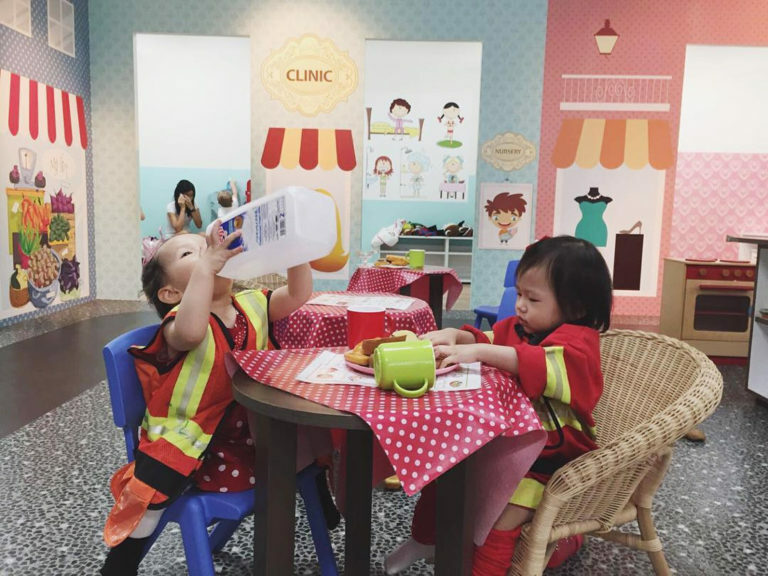 If your little one is too young for activities at KidZania, check out The City. 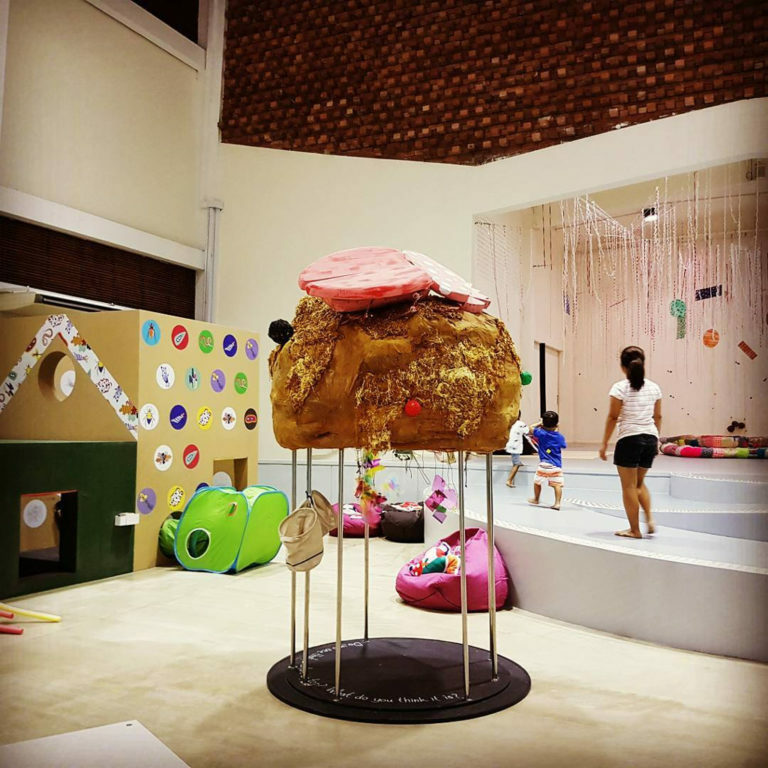 Designed for two to eight-year-olds, it’s an interactive learning playground which allows little kids to immerse themselves in role play and pretend play, promoting their creativity and imagination. Children can choose to dress up as cooks, cashiers, doctors, nurses or police officers, drive on mini streets, or explore small-scale supermarkets, beauty salons or cafes. The activities are not structured, so don’t be surprised to see little chefs and police officers at the beauty salon together! Housed on the rooftop of Esplanade − Theatres on the Bay, PIP’s PLAYbox enjoys lots of natural light so it is always a bright and happy space! There is plenty of room for arts and craft, a cute little loft area, as well as a reading corner filled with books by local authors and illustrators. Activities are often held in conjunction with Esplanade’s festivals. For instance, children were invited to make Chinese opera masks during the Mid-Autumn Festival, and wood rubbings of Chinese zodiac animals during the Lunar New Year festivities. Good to know PIP’s PLAYbox does not have an attached washroom, but children’s toilets and nursing room are located just opposite its entrance. Also, while the play area is sheltered, the shoe racks are not. 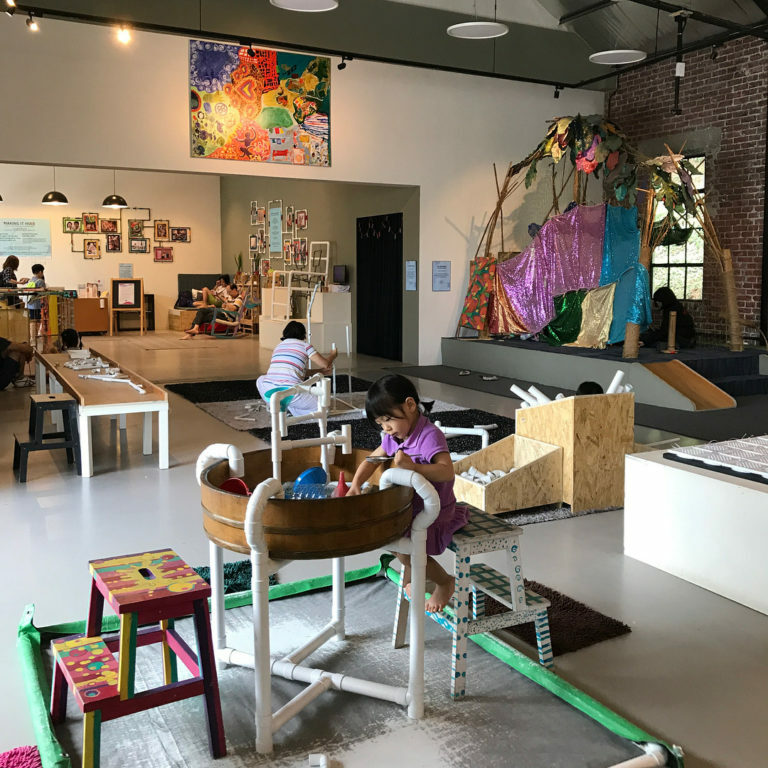 Run by Singapore’s first non-profit centre for creativity and culture, Playeum has no slides, play structures, or instructions. Instead, children can make things and take charge of their own experiences via open-ended play through installations as well as hands-on exploration. Have a child who loves crafting? The Playmaking Space will be a dream come true – an entire room filled with various materials that children can use for self-directed craft projects. Afterward, they can test their creations on the giant wooden ramp! Tinkering Sundays are held on the last Sunday of every month, offering fixed themes with materials and tools provided, while activities remain open-ended (separate charges apply).